Instances of lower extremity injuries are on an increase among front seat occupants involved in head-on collisions. Also, around 50% of the lower extremity injuries involve trauma to the knee, thigh, and hip region. Car accidents can cause many different types of injuries, including fatal injuries. Thanks to the advancement in automobile safety technology, the risk of injuries have reduced a great deal. Today, occupants often escape from crashes with few or minor injuries. Although these technological advancements have greatly reduced the fatality rates, there is no way injuries can be prevented altogether. People aged 65 and above are more susceptible to suffering hip fractures. However, even young people may suffer a broken hip in the event of a car crash. Elderly women suffering from osteoporosis are at the highest risk of suffering a hip fracture. Hip fractures are a common outcome of a head-on car accident because the forces involved in this kind of an accident can push up the leg to the hip and cause the hip to break near the pelvis. There are several types of hip fractures that can result from a car accident. Extracapsular fractures are a type of fracture that occurs in a way that the blood supply to the hip remains unaffected. This type of fracture is treated by surgery, which involves making an incision and replacing the femur head or using screws and plates to hold the ends of the joint together until it heals. Another fracture that can result from such an accident is an intracapsular fracture. It involves the femoral neck and may cause damage to the blood supply to the area. This injury can result in loss of circulation to the femoral neck or avascular necrosis. These types of hip fractures often need complete replacement of the femoral head. The forces of a car accident can cause the femoral head to get pushed up through the acetabulum causing it to break. 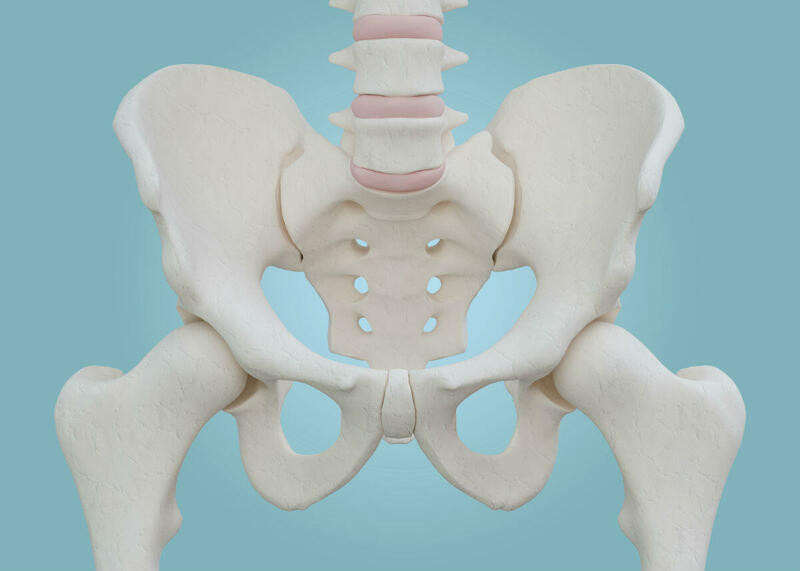 The acetabulum is a part of the pelvic bone and the socket part of the hip joint. If the acetabulum does not heal with conservative treatment, it has to be replaced with an artificial socket. An artificial femoral neck may also have to be placed to ensure that they fit well together. When someone suffers a hip fracture in a front end car accident, he/she may experience immediate hip pain and may be unable to walk on the injured leg. After surgery, the patient will have to undergo physical therapy and will have to use a cane or walker initially to walk. A study was conducted to gauge the frequency and incidence of hip fractures in the head on accidents. It was found that these fractures occur quite regularly, because of the forces involved. The study also looked at the probability of long term disability following these kinds of accidents. It was found that of all parts of the leg involved in the accident, the hip joint is the weakest point, and therefore most prone to fractures. While anyone can suffer a hip fracture in a car accident, older people are the most susceptible. Those who suffer from osteoporosis are especially at risk. The condition is characterized by joint pain caused by inflammation and swelling of the bursa. Bursar are fluid-filled sacs that provide a protective cushion to the joints. The impact of the crash can cause the tendons to move over the bones, and this can result in severe pain. The force of the impact of the car accident can make the ball like joint at the top of the femur slip out of its socket, and cause severe pain and immobility. This injury is often accompanied by damaged ligaments as well. The injury involves extensive damage to the cartilage that surrounds the bony edge of the pelvis socket. Car accidents are known to be the most common cause of these injuries. This condition is most commonly seen in gymnasts, ballet dancers, and athletes, however, it may also develop as a result of a severe car accident. The patient often experiences severe pain and a snapping sensation. It is often accompanied by an audible snapping sound. Serious car accidents often involve blunt force that can be enough to cause fractures to the hip bone. Stress fractures can be extremely painful, and lead to huge medical expenses with long recovery time. Hip trauma can cause tears or stretches to the muscle fibers of the hip, and result in muscle strain. The most common symptoms of muscle strain is muscle pain and is followed by weakness and swelling. A serious hip injury can result in expensive medical bills and lost income. If you have sustained a serious hip injury due to someone else’s negligence, you may be eligible for financial compensation. Speak with a St. Louis car accident attorney at The Hoffmann Law Firm, L.L.C. to learn more about your legal right to compensation. Call (314) 361-4242 to schedule a free consultation.